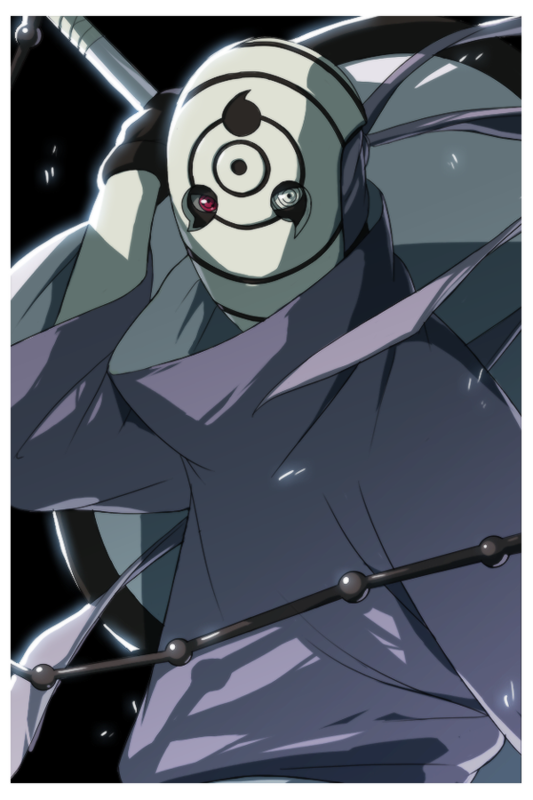 Appeareance: After his fight with Konan, Tobi changed his appearance. Personality: Tobi's true personality is considerably calmer and much more serious, but he still has a habit of joking around and disrespecting those around him. History: With their forces amassed, Tobi gives the order to mobilise, signifying the start of the war. Quotes: "Oh, you know… it's fun, it's part of my plan… to start a war… to bring peace…"